Enriched with Shea Butter, this soap cleanses and delicately perfumes your skin. 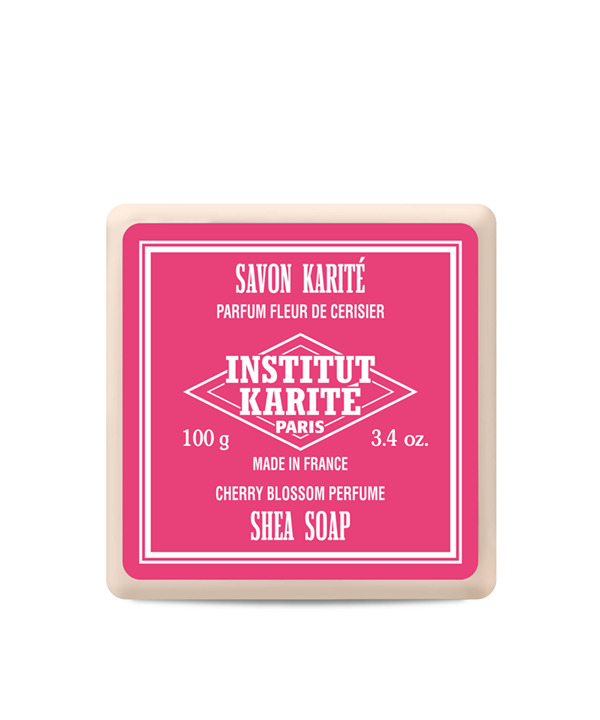 Be whisked away by floral and feminine notes of the perfume Cherry Blossom. INGREDIENTS : SODIUM PALMATE,SODIUM PALM KERNELATE,AQUA,PARFUM,GLYCERIN,BUTYROSPERMUM PARKII BUTTER,CI77891,SODIUM CHLORIDE,CETEARYL ALCOHOL,CETYL ALCOHOL,POLYSORBATE 60,PALMITIC ACID,STEARIC ACID,TETRASODIUM EDTA,TETRASODIUM ETIDRONATE,CETEARETH33,PARAFFINUM LIQUIDUM,CERA MICROCRISTALLINA,PARAFFIN,PEG-12 DIMETHICONE,HEXYL CINNAMAL,LIMONENE.